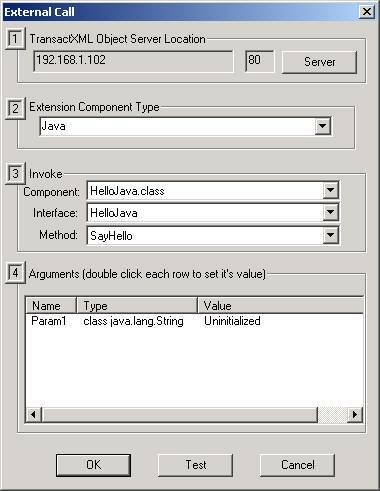 Now your custom java extension is ready to be used from TransactXML Server or the XSLT engine. Both examples are shown. 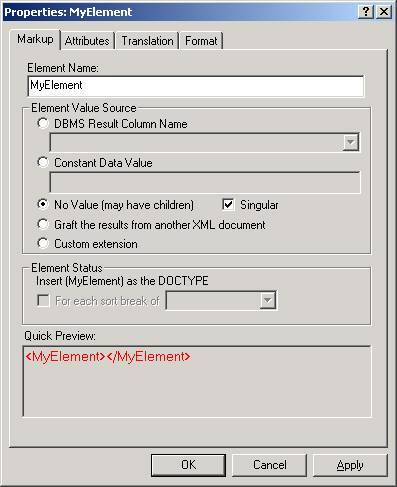 This causes the Element “MyElement” to get it’s value from the external Java function. Double click the parameter to set it’s value.